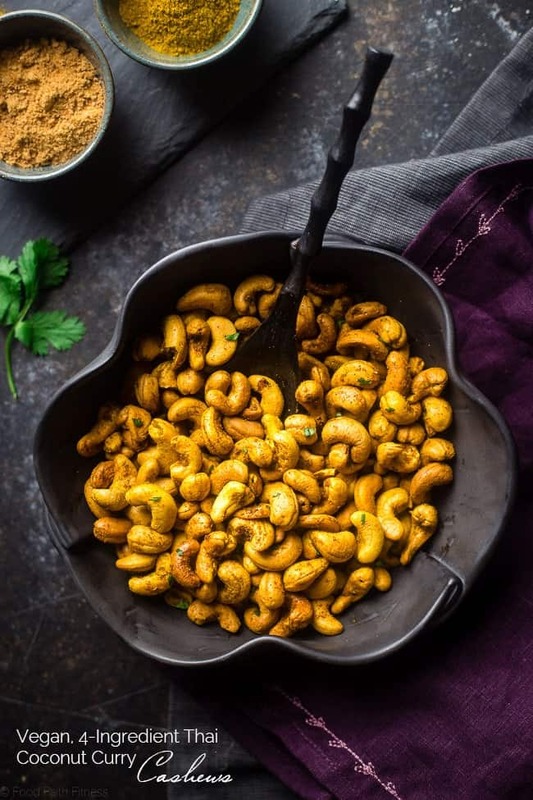 These gluten free, 4 ingredient roasted cashews have a spicy-sweet Thai curry kick! They’re a quick and easy, paleo and vegan friendly and snack for on the go eating! Crunchy, addictive little bites of spicy-sweet goodness. 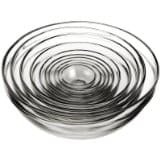 That your always-hungry snacking mouth is going to fall in MAJOR love with. 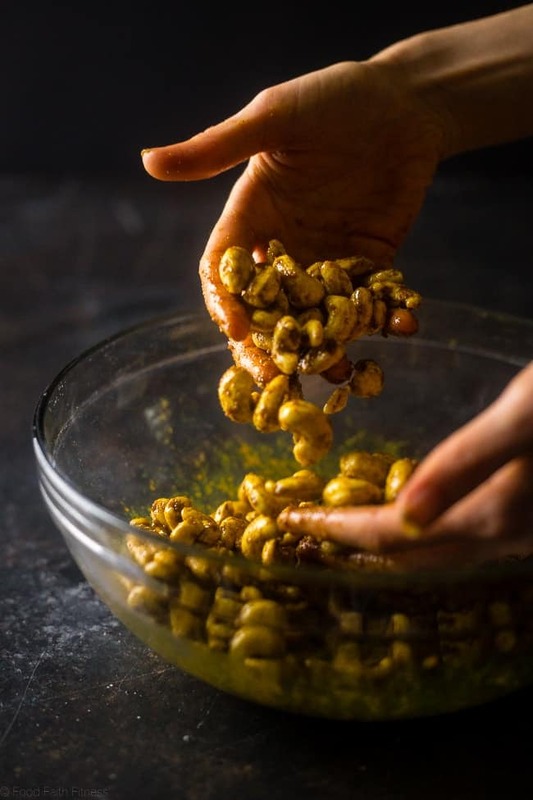 And your easy-recipe loving self is going to fall in MORE love with because there are only 4 INGREDIENTS in these roasty, toasty constant-munch-worthy nuts go from idea in your brain >> inside your face in 20 MINUTES FLAT. Basically they’re just an all-around win for all the people of the world who get hungry in between meal-time. So, ummm, ALL the people in the world EVER. I went to the store and was perusing the bulk section for chocolate chips because there was a MAJOR need for fresh, ooey, gooey paleo chocolate chip cookies happening in my life at that moment in time. Obvi, chocolate chips are not cashews. 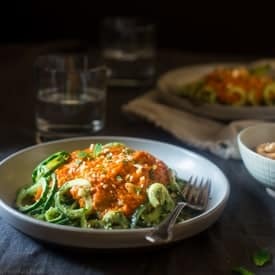 There was no thought inside my brain that I may have a secret, hidden desire that was totally unknown to my own self, for some kind of coconut curry cashew goodness to totally throw off my game-plan for the day. BUT THEN, as the perusing sesh was underway, I saw a bin of Thai Curry Cashews. I really want to try one >> but would it be weird if I just put ONE in a bag and went to the cash register? >> Would I get judged? >> Should I just take one when no one is looking? >> NO. Stealing is wrong >> FINE, I’ll go buy one and then never shop at this grocery store again to avoid any possible weird looks and talking behind my back. Which may be a little bit of an exaggeration. This is how my brain works. You know this. 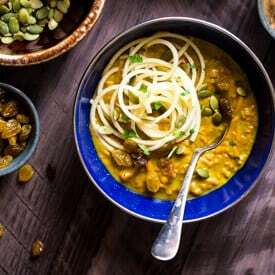 ANNNND then, all of my dreams of being able to eat vegan coconut curry at ALL times of the day, without having to wait for dinner time, came TRUE in ONE. SINGLE. MOMENT. So much true that my paleo cookies with chocolate chips craving was totally rejected and kicked to the curb. I just wanna let my taste buds sit on that salty, spicy-sweet curry flavor over and over again please. No ooey-gooey gluten free chocolate chip cookies need apply. 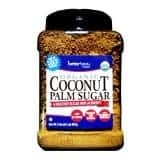 Now that I think about it, I can still taste the warm curry and sweet, caramel-y coconut sugar on the tip of my tongue. Hold on, having a moment. And MY moment is over. Your moment is JUST BEGINNING. 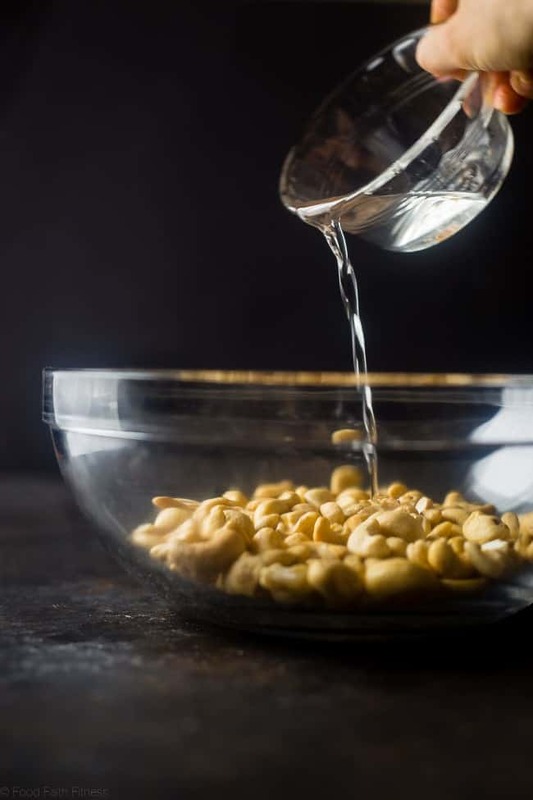 I also shared the Thai Curry Cashews Recipe over on Food Fanatic, so be sure to check it out there! STAY IN DA KNOW ABOUT BEHIND-THE-SCENES INFO GOING ON AT FFF BY KEEPING IN TOUCH ON TWITTER, FACEBOOK ANDPINTEREST! These are perfect for my upcoming road trip. I will be snacking on this the whole way to NYC. ps. your new profile pics are gorgeous. Thank you the picture AND snack love Stephanie! Girl! 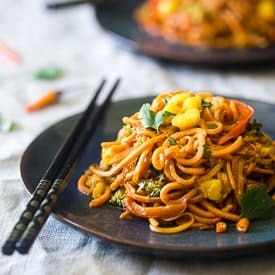 These look amazing and I bet you could totally do them with chickpeas or other nuts too although I don’t eat enough cashews. Hehe! YES I bet you could – chickpeas would be BOMB! BUT, you must try cashews first, I order it 😉 Thanks! These look amazing! I have all the ingredients already, too. 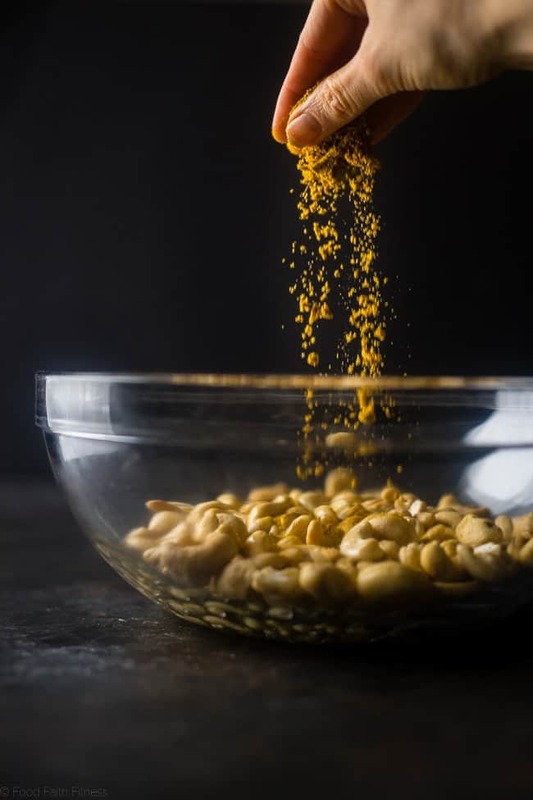 I used to really like these Thai curry potato chips in college that I don’t think they make anymore–I bet these cashews could be my new and improved go-to curry snack! THOSE POTATO CHIPS SOUND SO GOOD! And thanks girl, I hope they are just as good! Trader Joe’s sells Spicy Thai Cashews which are totally addicting! I’ll have to try your reicipe! They do?! I wish we had a TJ’s close by! Thanks lady! I was making Thai peanut curry today! Coincidence? I think NOT. 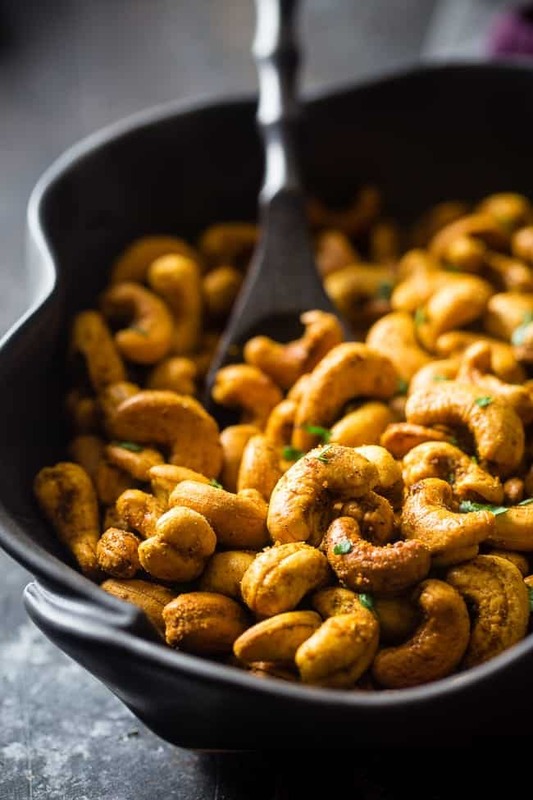 😉 Cashews are seriously DANGEROUS because you can seriously OD on them–especially in cashew butter form. UGH. I would love to try having these by sprinkling them on salads, soups, stir-fries, curries and combining them in popcorn or in a trail mix too! I totally agree with you, I OD on cashew butter quite regularly haha! Thanks lady – popcorn would be SUCH a good combo! Oh my gosh these sound deliciously addictive! 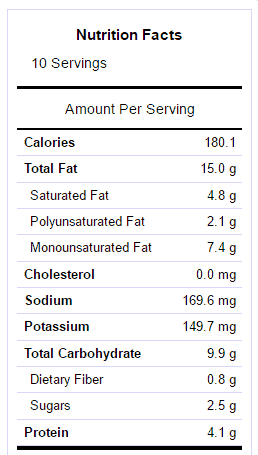 And I just bought cashews this is going to be made soon. 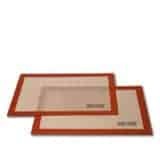 I hope you love them Lauren! Thanks! Loving these action shots lady!! I do love roasted nuts, especially to go with a pre-dinner gin and tonic. 😉 I’m usually one to add some smoked paprika and cayenne, but I’m just loving the curry powder on these! Definitely a unique twist! That is the best combo for sure 😉 Thank you Brian! 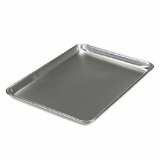 I have everything in my kitchen for these – except almonds in lieu of cashews – I guess I know what I’ll be making!! I hope you love them lady! Love this weird trick your brain played with you! 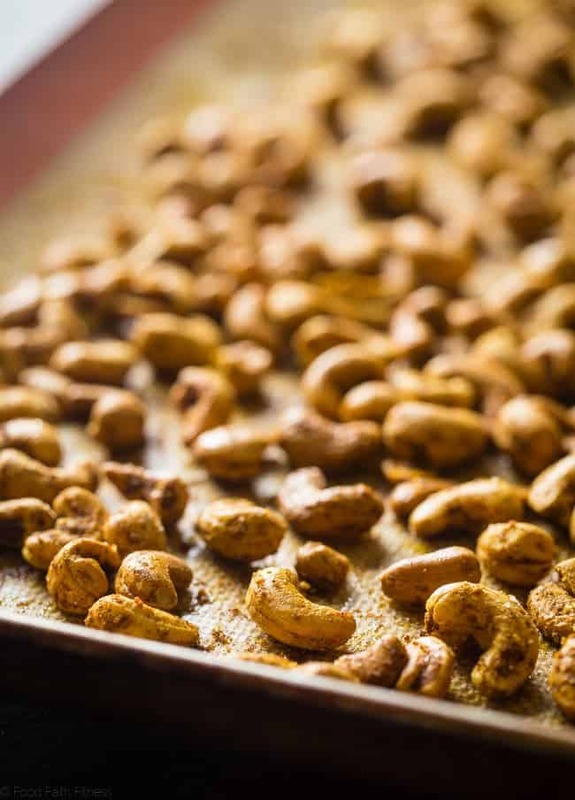 These Thai curry roasted cashews look so good!! 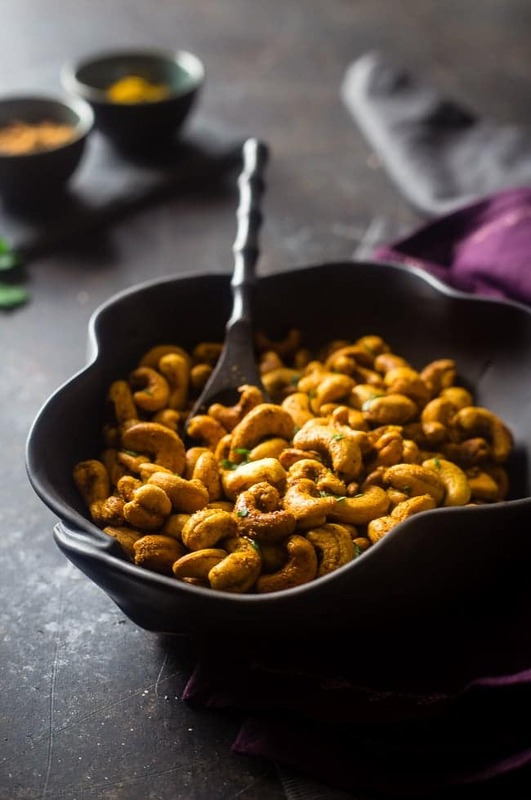 These cashews look amazing! Thanks for linking up with What’s Cookin’ Wednesday! I am so excited to hear you love them!! We do too 🙂 You are so welcome!